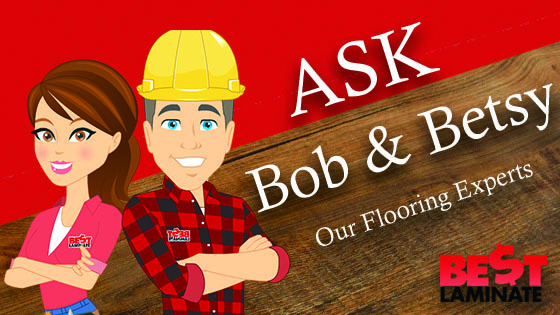 Home >> Ask Bob & Betsy Series >> Can I Put Vinyl Tile On Top Of Vinyl Sheet Flooring? We have a vinyl sheet flooring right now and want to put new glue-down vinyl in our kitchen. Can we lay the vinyl tile on top of vinyl sheet flooring? – Jack and Carolyn W.
It’s great that you want to revamp your flooring from old vinyl sheet flooring to vinyl tile plank flooring! 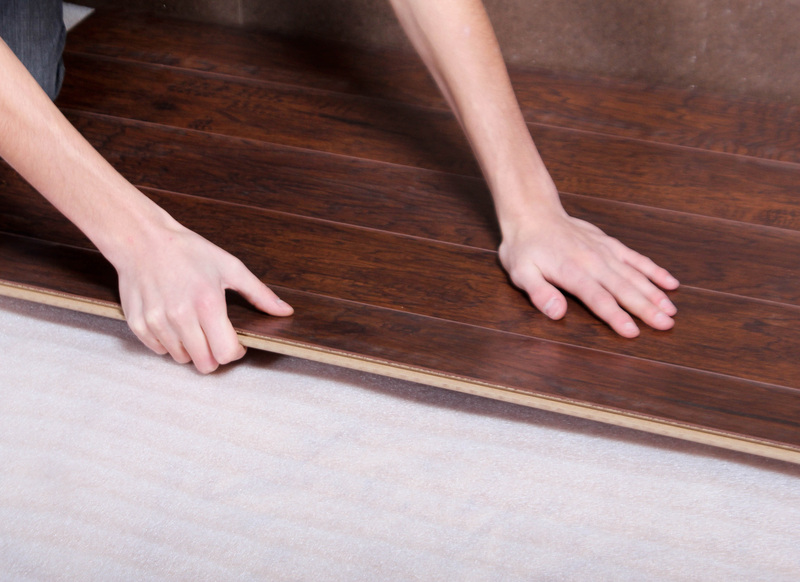 Before installing over top of your previous vinyl flooring, you should follow the tips below. By applying a glue-down vinyl over another vinyl, your are creating a soft substrate for you new floor. Glue-down vinyl plank flooring needs a very firm sub-floor in order to adhere properly. By having too soft of a sub-floor, your new vinyl floor will wear faster, leave lasting dimples from furniture, and ultimately will crack the vinyl. Be sure to follow all instructions on the vinyl flooring installation instructions and adhesive instructions for a successful installation. If tearing up the vinyl flooring is too much of a hassle or you are unable to do it, consider switching to a laminate flooring. Laminate flooring is a floating flooring, meaning that you do not use glue or nails to lay down the flooring. Most laminate flooring uses a click-lock system in order to install the floor. What you will first do, is lay down an underlayment and then install the laminate flooring on top of it. The underlayment allows the laminate flooring to float on top of the sub-floor. Be sure to check and make sure you use a thinner underlayment, since you will already have some give because of the previously installed vinyl flooring. If you have any other questions or comments, please feel free to write them below! We love to hear from you and answer any questions you have! How Should I Prepare for my Vinyl Flooring Installation? I want to put smartcore ultra I’ve my existing vinyl sheet flooring. Lowe’s first said I did not need an underlayment and now they are. Do I? My floor is curled up in a couple of places but they said that wouldn’t be a problem. They would be installing and said it wouldn’t be guaranteed now if I don’t have underlayment. Would just like to know if I’m getting yanked around. Hi Linda, thanks for reaching out. We do not sell this brand specifically, but from the description online, it does not look like you need an underlayment. This is standard with vinyls. As long as your current floor is adhered to the subfloor, you should be able to install right over it. Just keep in mind your subfloor should be in good condition and completely level before installing any flooring. It may be a good idea to cut the curls of flooring so it is a level surface. I like that you talked about gluing the vinyl planks before adding more vinyl. I have been wanting to add another vinyl layer, but I haven’t known how. I’ll have to try the gluing first. Thanks for the advice! You’re very welcome, Scott! We’re glad that you found the advice useful!